Home / Entertainment Gists / EDUCATION: Senate Moves To Scrap Post Utme! 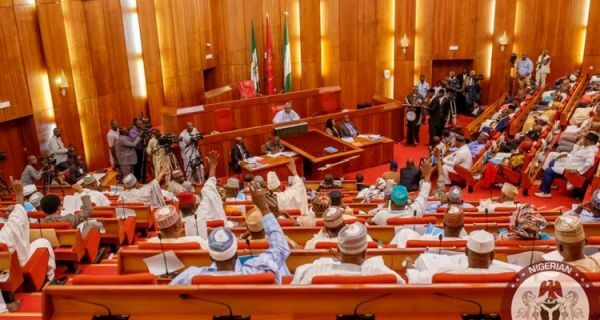 THE Senate had begun moves to scrap the post Unified Matriculation Examination, UME as it yesterday mandated its committee on Tertiary Education to meet with relevant stakeholders, especially the Joint Admission and Matriculation Board (JAMB) and come up with recommendations on how to achieve the set goal. According to the Senate, the move has become imperative because the introduction of the post – UMEexamination has to a large extent failed to remedy the problems associated with the JAMB, adding that its continued existence has posed more challenges for the Nigeria educational system. “Further notes that that the Nigerian Universities Commission (NUC) is the Federal umbrella organization which oversees the administration of University education in Nigaria, and prior to 2005 , the truly criteria needed for candidates seeking admission into tertiary institutions was for such candidate to have minimum admission requirement and possess a certain score at his or her JAMB examination. “Aware that the laudable objectives of JAMB began to suffer progressive denudation shortly after its inception as some universities admitted students outside the list sent by JAMB and rejecting candidates with admission letters from JAMB on the ground that they had to comply with their own internal quota and catchment calculation, coupled with the issue of malpractices that plagued JAMB examinations.